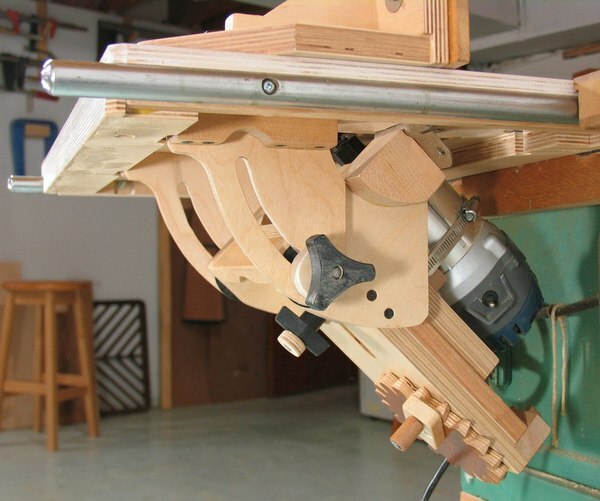 This is my tilting router lift. 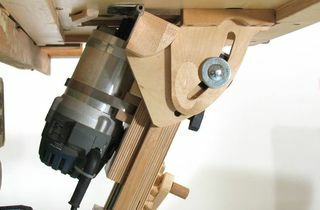 Being able to tilt a router lift really extends the possibilities for creating interesting molding even when using basic and inexpensive sets of router bits. 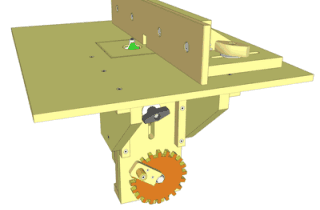 I'm not the first to come up with a tilting router lift, there are even some patents for some designs (fortunately, the patented designs aren't very good, so no risk of infringing). 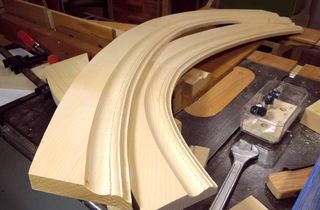 The closest thing on the market that I know of is the Woodhaven 1470 Angle-ease. 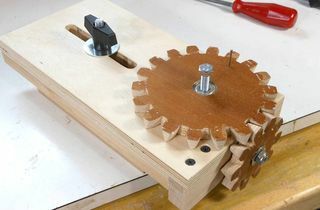 However, looking at the pictures of that one, it has very limited space where the bit goes, and doesn't allow the motor to come up very high (necessary for some cuts), so it's probably less versatile than this one. 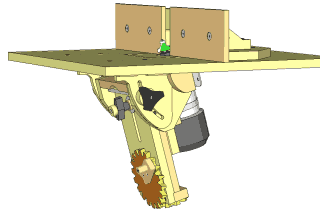 There is also the "PR005 Tilt Base" for Bosch Colt palm routers, available from various vendors, including Amazon, but that one also has similar limitations.